In 2017, the Russian-European effort to put a sophisticated robotic lab on the surface of the Moon within the Luna-Resurs, a.k.a. Luna-27, project made several important steps in designing hardware for landing on the Moon and finding lunar ice under its surface. 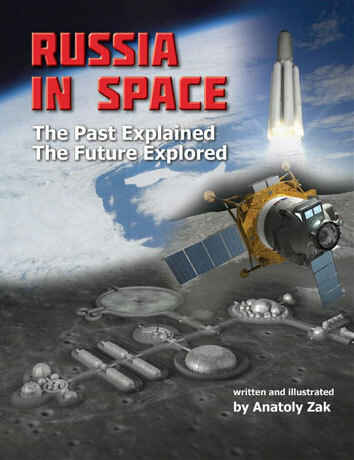 Typically for NPO Lavochkin, the prime Russian developer of the Luna-Resurs spacecraft, few details about the ongoing work had been released, leaving the European Space Agency, ESA, as the main source of information on the status of the project in 2016 and 2017. Along with its contractors on the European continent, ESA continued work on two major contributions into the Luna-Resurs project. The first was the Precise and Intelligent Landing using Onboard Technologies, PILOT, system, which was designed to provide navigational and hazard avoidance data during the final descent of the Luna-Resurs spacecraft to the lunar surface. The second was the surface drill, known as the Package for Resource Observation and in-Situ Prospecting in support of Exploration, Commercial exploitation and Transportation, or PROSPECT. On August 26, 2015, ESA and Roskosmos formalized their cooperation in the Luna-Resurs mission with the exchange of official letters. In the same month, ESA issued two invitations to tenders, ITTs, to conduct Phase B+ in the development of the PILOT and PROSPECT systems. In 2016, ESA evaluated industry proposals for the Phase B development of both systems and in December of the same year, the agency began negotiations with selected bidders. A major political and financial endorsement of the European participation in the Luna-Resurs project finally came at the ministerial council meeting on Dec. 1 and 2, 2016, in Lucerne, Switzerland. There, ESA member states gave the go ahead to the European Exploration Envelope Program which combined the continent's human and robotic exploration projects. The program supported the operation of the ISS until 2024, funded the ExoMars-2020 (formerly ExoMars-2018) project and gave go ahead to the European contribution to the Luna-Resurs mission, along with the studies of possible future missions and the development of technologies which would be necessary for those projects. Unfortunately, back in Russia, many obstacles still remained. During a management meeting between European and Russian officials in April 2017, Roskosmos confirmed the launch date for the Luna-Glob mission, which was to precede Luna-Resurs, for the end of 2019. At the same time, the Luna-Resurs was officially shifted by one year to the end of 2022, even though much longer delays had been rumored. In any case, on the European side, the extra time increased the probability of the successful completion of Phase-C/D1 in the development of the PILOT and the PROSPECT systems. The European industry now had three years before the delivery of flight models of both systems to ESA. On May 11, 2016, ESA released an image of a drill developed by Finmeccanica of Nerviano, Italy, for the Luna Resurs lander. According to the agency, the drill, designed to penetrate from one to two meters into the lunar surface, was envisaged by ESA to fly to the Moon’s south pole on the Luna-Resurs, at the time still officially scheduled for 2020. ESA said that the development team had tested the drill design with simulated lunar soil cooled to –140C degrees (typical of the expected landing site of Luna-Resurs), even though the permanently shadowed regions of the Moon are known to be even colder, down to –240C degrees. 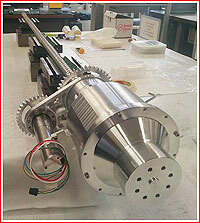 By the end of 2016, the drill prototype and associated hardware built in the course of the Phase A of the project was reported as being under integration and testing. In April 2017, work began on the Phase B2 development of the PROSPECT system. An avionics optimization exercise was conducted, leading to the standardization of certain interfaces between the drill and the instrument, ESA said. Phase-C/D was also being prepared with a programmatic and planning review conducted on June 30, 2017, which saw the participation of key developers -- the Italian company Leonardo and the Open University in UK. 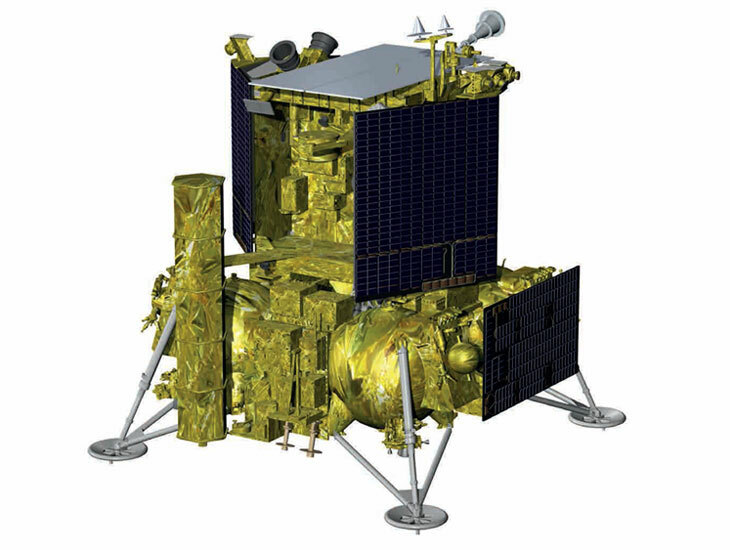 According to ESA, Phase B+ development aimed to advance the definition and design of the full PILOT subsystem up to the level of the Project Design Review, PDR, including the development and implementation plan and the interfaces with the Luna-Resurs platform, while taking into account the cost constraints of the project. The same phase also included key work on prototypes of critical components and preparation of development models of all elements of the PILOT system to help verify the end-to-end performance of the PILOT subsystem. Phase B+ was also expected to include Advanced Phase C/D activities preparing the way for the Critical Design Review, CDR. On June 2, 2016, Airbus Defense and Space announced that it had signed a contract with the European Space Agency, ESA, at the ILA-2016 air and space show in Berlin for Phase B and advanced Phase C work on the PILOT system. Also in 2017, the Termo-L sensor, a miniature heater of the lunar surface designed to study the thermal conducting properties of the lunar regolith, was bumped from Luna-Glob to the Luna-Resurs lander due to a mass increase of the experiment, thus adding to the scientific portfolio of the latter mission. In the meantime, Glavkosmos, the commercial arm of the Roskosmos State Corporation began studying an option of carrying piggy-back payloads on the Luna-Glob and Luna-Resurs missions. If the idea was accepted, it would give small satellite operators, such as universities and research organizations, a rare opportunity to send their tiny instruments beyond the Earth's orbit and into the vicinity of the Moon.